Here at Gerald Kia of Naperville, we are committed to our customers. We put your needs first, and we always do everything we can to make sure our customers get just what they need at our dealership. That’s why we offer a wide selection of vehicles, a top-notch service center and have a team of highly-skilled experts ready to help with anything you might need. At Gerald Kia of Naperville, not only do we sell award-winning Kia vehicles, but we have also won a number of awards ourselves. Thanks to our amazing staff who continues to provide excellent service, our dealership has been recognized and has earned a number of awards that we are proud to tell you all about. We have earned a spot as an honored member of the Kia Motors’ President’s Club. This exclusive membership is given to dealerships that stand out from the crowd by providing exceptional customer service and sales success. We are one of only 19 dealerships in the whole country to earn this membership for 2017 and we are proud of the hard work we have done to earn it. Our staff works hard to provide the best customer service possible so our customers can enjoy a great experience each time they visit us. The Kia Dealer Excellence Program, Plus is a certificate on awarded to dealerships with outstanding performance. Kia dealerships all over the country have been reviewed for excellence in practices, operations, sales and compliance. Only those that perform at a high level in the areas of facility quality, staff training, and service are given this award. With our top-notch facilities, extensive staff training and dedication to customer service, we are one of the dealerships that has earned this award. Each year DealerRater, a car dealership review website, gives awards for consumer satisfaction to the highest-rated dealerships. Based on customer reviews and feedback, DealerRater gives each dealership a score and gives the award to those with the best scores. Gerald Kia of Naperville has earned this award thanks to our excellent customer service and our amazing customers. Our dealership has a lot to offer, but what we are most proud of is our amazing staff. We have a team of hard-working, knowledgeable and friendly people who make our dealership great and ensure our customers have a great experience. If you’re interested in finding a new or used car, our sales staff will offer any assistance you might need. They know all there is to know about our available vehicles, so you can count on them to help you find the vehicle that’s perfect for you. They’ll never pressure you into buying anything you don’t want; they’ll just offer the information you need to find the vehicle that’s right for you and then help you through the next steps so you can have a great shopping experience and then get out on the road in a great new car. Once you find the car that’s right for you, be sure to visit our finance staff. These guys are auto finance experts. They can tell you about all the different auto loan, lease and payment plan options available, and help you find the solution that best suits your needs. They’re happy to answer all your questions and provide all the information you need to come up with the financing solution that works best for your individual needs. Then when you’re out on the road, you’re welcome to come back and visit our service staff at any time. We have a team of skilled technicians who can help with all your auto maintenance needs. They can take care of just about any service your car might need to stay in great shape and keep running at its best. You can count on us for all your auto service needs. 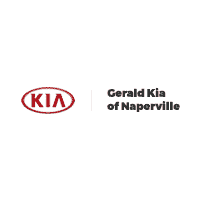 If you’re interested in joining the Gerald Kia of Naperville team, don’t hesitate to check out our open positions and apply for the one that best suits you. Customer reviews are important to us. They provide a way for prospective customers to learn more about what our dealership is really like and they provide us with a way to keep improving our services to ensure we provide our customers with the best experience possible. If you’re thinking about coming to our dealership to buy a new car or service your current car, be sure to take a look at our reviews. They are written by real customers, so you can expect honest information that you can use to decide if our dealership is the place for you. If you’re a current customer, feel free to leave a review of your own; we love hearing your feedback. If you had a great experience, be sure to tell us so we know what our customers love and we can keep doing it. If you had a not-so-great experience, be sure to tell us that, too, so we know what we can improve on. We use all this information to keep improving so we can make sure every customer has an amazing experience at our dealership. When you’re looking for a new Kia, our knowledgeable staff would be more than happy to help you find exactly what you’re looking for. We offer a wide selection of vehicles from sedans to SUVs and everything in between, so no matter what you’re looking for in your next vehicle, we have a model for you. If you want something a little more affordable, then one of our used cars could be what you’re looking for. These models are inspected to make sure they’re high-quality and they’re offered at affordable prices that we think you’ll love. We would be happy to help you find the new or used car that best suits your needs. When you find the vehicle that’s right for you, be sure to stop by our finance center. Our finance experts would be more than happy to help you with all your auto loan and lease needs. We will help you come up with the method of payment that works best for you and your budget. Once you’re out on the road in your new vehicle, be sure to come back to our service center for all your maintenance, repairs and parts needs. We have top-notch facilities and our team of highly-trained technicians will do their best work to make sure your vehicle stays in great shape. When you’re ready to have all your Kia needs taken care of, be sure to stop by our dealership located in Naperville, IL. We would be more than happy to help drivers like you from the Naperville, Chicago, Schaumburg, Aurora, Bolingbrook and Lombard areas with all your car shopping and service needs.